Model 145 Lerman Hip Abduction Rotation Orthosis (HARO) 2000™ utilizes an anterior pelvic section to facilitate ease of donning. The anterior pelvic section eliminates pressure on the back and spine. The hip joint allows control and adjustment of flexion/extension in 20 degree increments and abduction/adduction in 9 degree increments. The innovative attachment of the joint to the pelvic and thigh modules provides rotational adjustment and accurate alignment in the transverse plane. 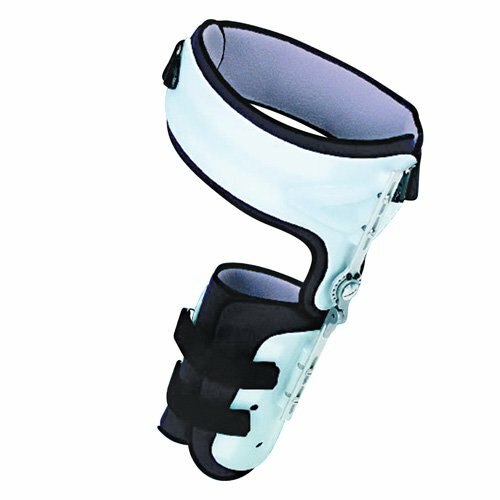 The HARO also offers reduced-migration material on the pelvic and thigh liners to control rotation and prevent migration of the orthosis.